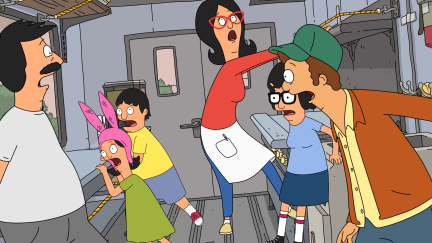 BOB'S BURGERS: When the Belchers bring their food truck to the &quot;Lolla-Pa-Foods-A-Festival,&quot; the kids stir up some trouble in the all-new &quot;Food Truckin'&quot; episode of BOB'S BURGERS airing Sunday, April 15 (8:30-9:00 PM ET/PT) on FOX. BOB'S BURGERS &#x2122; and &#xa9; 2012 TCFFC ALL RIGHTS RESERVED. This page was last edited on 1 September 2012, at 01:29.